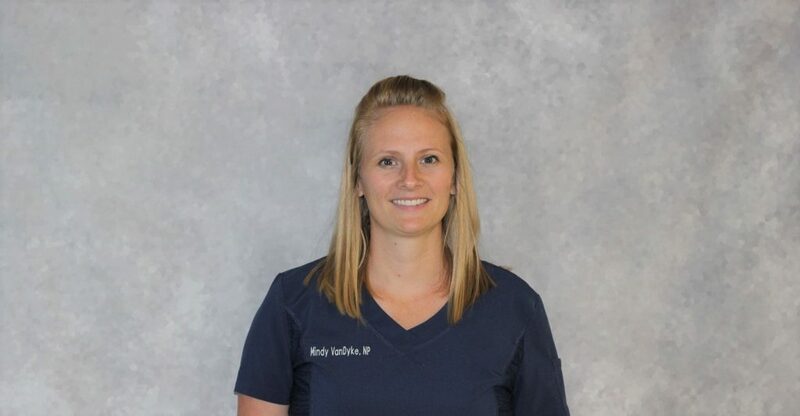 Mindy VanDyke is one of the Nurse Practitioners with Capital Internal Medicine Associates (CIMA). She is a Board Certified Nurse Practitioner and cares for patients in the office. Mindy grew up in Mason, Mi. She started college at Lansing Community College where she received her Associate Degree in Nursing. She then completed her Bachelor and Master of Science in Nursing at the University of Michigan-Flint. She has worked as a nurse at a rehab facility, a primary care office and in the hospital. Mindy has been married to her husband, Craig since 2012. They have one child and two dogs. They live in Dimondale and enjoy canoeing, camping, riding bikes and spending time with family.